Jonathan has been Myanmar Strategic Holding’s (“MSH”) Myanmar-based partner since 2015 and is responsible for sourcing and evaluating business and investment opportunities as well as reviewing the performance of the existing portfolio of businesses. Prior to joining MSH, he worked in finance for over ten years, of which the last four were based in South East Asia. 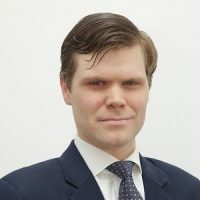 With a focus on real estate, Jonathan spent five years as a listed real estate fund manager at Center Square Investment Management. Initially based in Philadelphia, he relocated to Singapore in 2012 to establish the Asian office and operations. Prior to attending business school, he underwrote commercial debt at Bank of America in Chicago. Jonathan has an MBA from INSEAD and bachelor’s degrees in Finance and Accountancy from the University of Illinois – Urbana/Champaign. He is also a registered CPA in the state of Illinois and a CFA Charterholder, but is not currently active.